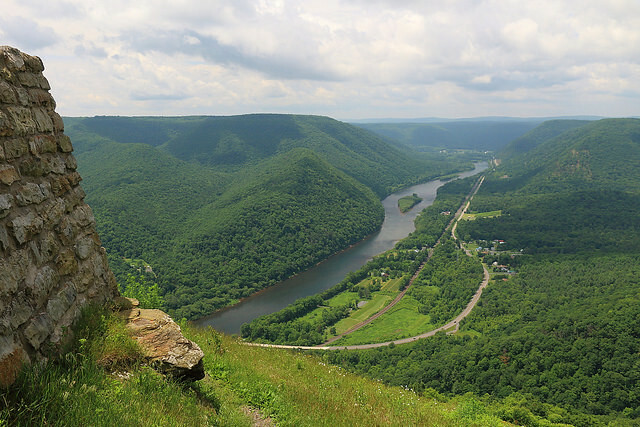 Hyner Run carves a small valley from the surrounding steep mountains, creating a cozy, quiet place for outdoor adventures. The park is entirely surrounded by Sproul State Forest, Pennsylvania’s largest state forest. Hyner View State Park also is nearby. The 180-acre Hyner Run State Park is in Chapman Township, Clinton County. From PA 120 at the village of Hyner, turn east onto Hyner Run Road (PA 1014) and travel for two miles. From PA 44, turn west onto Hyner Mountain Road and travel for five miles. Play equipment for children is between the swimming pool and the camping area. Public programs are offered twice a month in June, July, and August. Educational programs are available to local schools upon request.